Euro is still moving downwards. We think, today the price may form a consolidation channel. 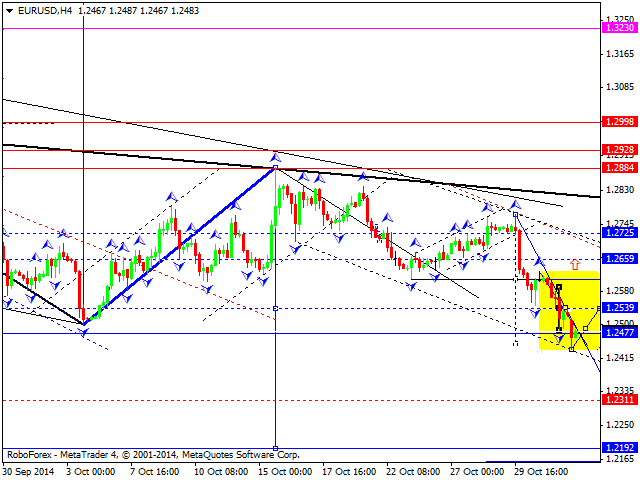 In case the pair breaks it downwards, the market will fall towards level of 1.2311. If upwards – the price may return to level of 1.2660. 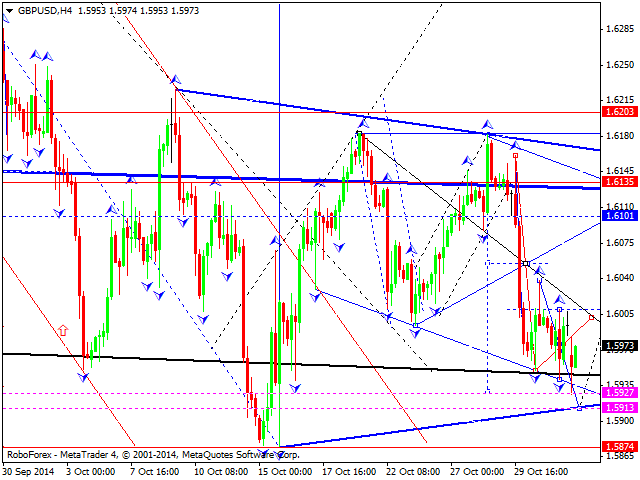 Pound is forming a consolidation channel. 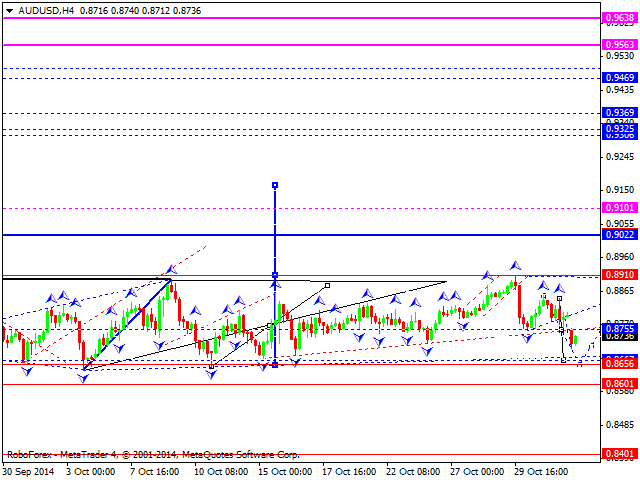 We think, today the price may fall to reach level of 1.5913 and then return to level of 1.600. Later, in our opinion, the market may break this consolidation channel upwards and reach level of 1.6100. 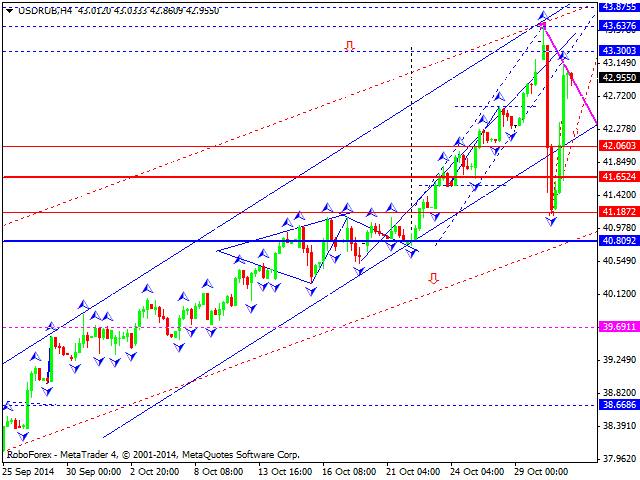 However, if the pair falls and breaks it downwards, the price may reach level of 1.5770. Franc is consolidating. We think, today the price may reach level of 0.9697 and then fall towards level of 0.9620. Later, in our opinion, the market may break this consolidation channel downwards and reach level of 0.9390. However, if the pair grows and breaks it upwards, the price may reach level of 0.9800. The market was opened with a gap up today and Yen continues moving upwards. We think, today the price may reach level of 113.08. Later, in our opinion, the market may form a consolidation channel to fall towards level of 109.15. The first target is at level of 111.11. Australian Dollar is moving downwards. 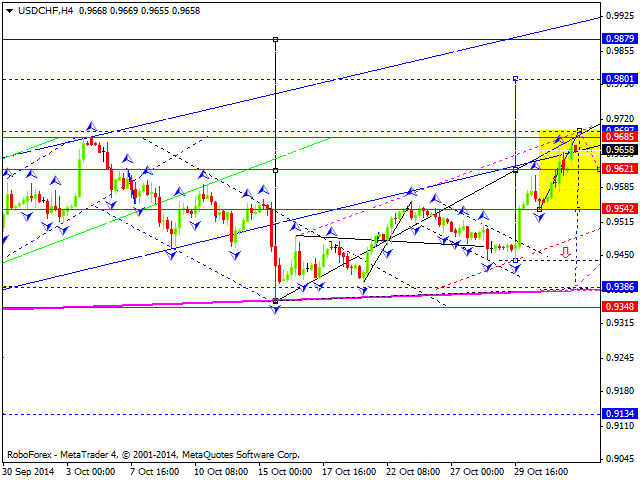 We think, today the price may reach level of 0.8656 and then grow to return to level of 0.8755. Later, in our opinion, the market may expand this trading range towards level of 0.8600. Ruble is still forming an ascending structure. We think, today the price may reach level of 43.30 and then fall towards level of 42.06, thus forming a new consolidation range. After the pair breaks it downwards, the market may continue falling to reach level of 40.80. 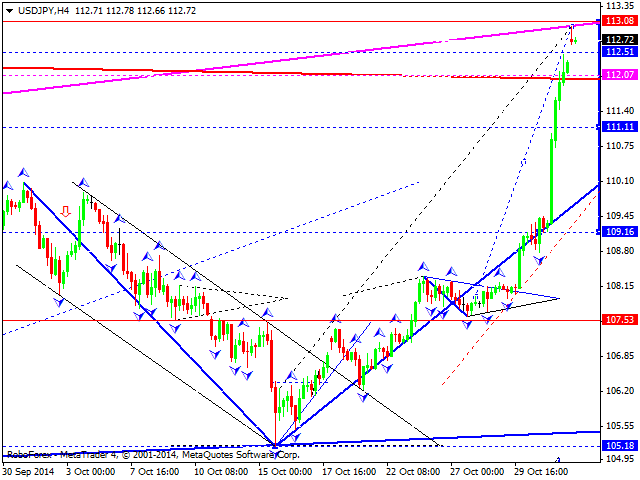 Being under pressure, Gold is still moving downwards. 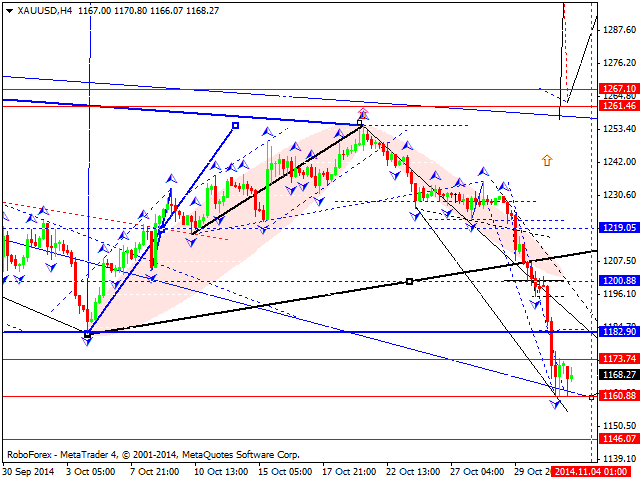 We think, today the price may reach level of 1159.00 and then return to level of 1182.90 to test it from below. Later, in our opinion, the market may form another descending structure with the target at level of 1146.07.